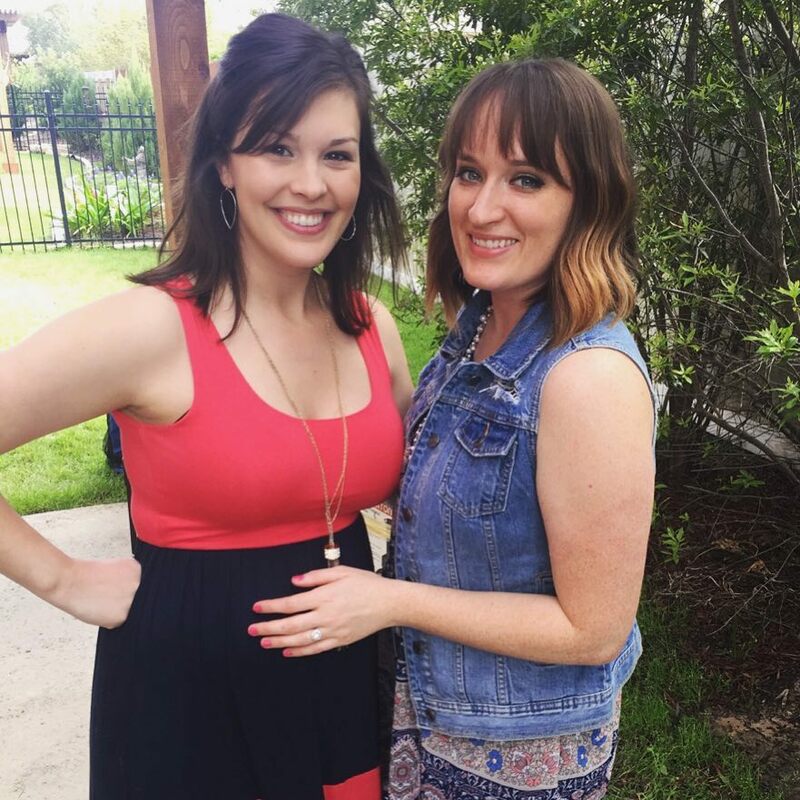 Texan Girl Talks: Week 27 and 28: A baby shower, crawfish and swollen ankles. 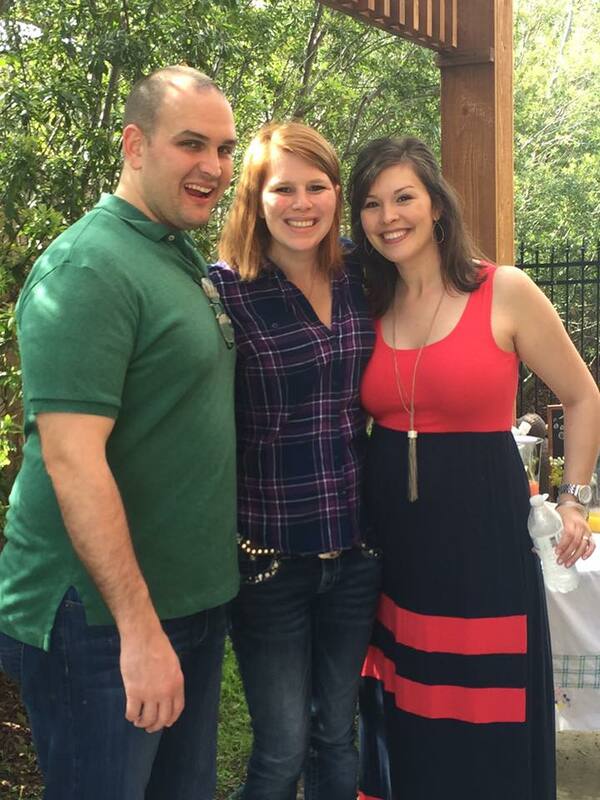 Week 27 and 28: A baby shower, crawfish and swollen ankles. This past week has been the absolute best. I had a beyond beautiful baby shower for my sweet girl, Allie and ate to my heart's content all the bbq and crawfish a Texan girl could ask for. But most of all, I was surrounded by some of the best people I know. My wonderful and creative sister in law coordinated the baby shower, it really was wonderful in every way. I did not expect to have so many people over, but we did and it was fantastic. 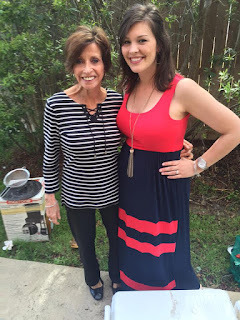 We had music, crawfish, bbq and a fabulous Mimosa bar (I took advantage of the juice and pretended in my mind there was champagne in there, only 77 days left, Yay and YiKES)! Here are two other super special ladies that made this day amazing. Tirah, one of the best friends i've ever had was in charge of the mimosa bar, which was so cute and the beyond delicious cupcakes which are showcased below. 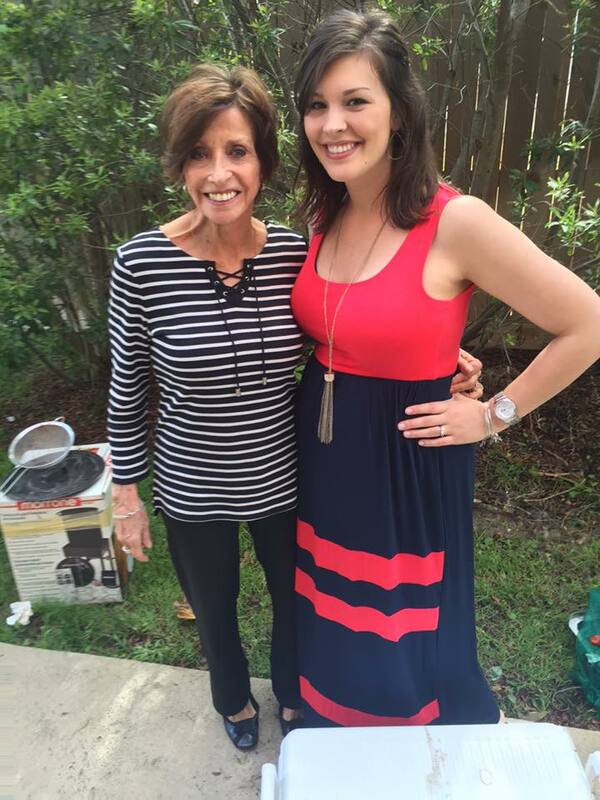 Of course my mother in love, Jan, who graciously offered her house for to house a party for nearly 40 people. I'm so blessed for this occasion and will remember and cherish it for years to come! Mimosa Bar!! It needs no explanation... So freaking cute! Here is Dad-to-be Matt with a LIVE crawfish, pre-boil, these crawfish were super feisty. Then of course on the right is my dad and my brother, Evan, oh and special thanks to my brother to cooking all the crawfish. You were amazing bro. My baby shower was co-ed and I absolutely did this on purpose, so that my baby daddy could be there (lol) and the other important men in my life could attend. We accommodated with tons of beer in the backyard, I think that part was a success. My God mom, Sandal and her sister Shelly! These two ladies are such a fantastic part of my life. I can't thank you both enough for being here. I ate salty things all weekend without enough water, plus two plane rides = super swollen preggo ankles, I totally deserved these ankles. I was actually surprised how the left one was so much more swollen than the right side... I've concluded my child is actually hanging out on the left side, so it takes my body longer to reduce swelling on that side. No worries people, I checked for three days after for any DVT (blood clot) sighting. 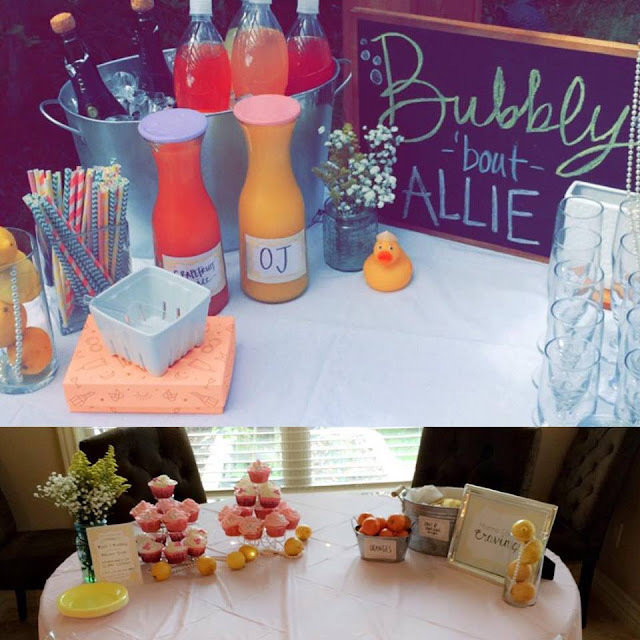 I received some pretty incredible things for Allie's shower, let's just say she is one lucky little girl to have so many people that love her so much already. My cup is truly overflowing. I will tell you this week was a crazy week at work and with this week starting my 7th month of pregnancy, I really started to feel the energy of the second trimester leave my body at a rapid pace. Sleep has changed dramatically. I do not sleep well anymore. It was really strange, I totally feel like i'm sleeping with a basketball attached to my stomach, that kicks me if I lay on her too much. It's crazy. I have noticed walking fast is hard and that my lung space is being invaded. HAVING TO PEE MULTIPLE TIMES IN A SPAN OF FIFTEEN MINUTES. I might have had a slight altercation with a flight attendant on Spirit airlines. I absolutely had to pee, my bladder was near explosion, apparently it's frowned upon to get up when the fastened seat belt is on to wait for the bathroom, well I wasn't taking no for an answer, I tried to get up 87549375 times, but someone always got up there before me. Alas, I was not waiting any longer, I got up and the flight attendant told me right away that I wasn't allowed to be up just yet, I informed her that she was have a huge mess to clean up and politely told her in so many words I would snap her like a twig if I didn't get in there (pregnancy hormones). I feel like I must eat super quick in order to get enough food, if I wait or linger, I will get full way too fast. If one more person questions how far along I am, I'm gonna lose it. Yes, I am seven months pregnant, I too am waiting for this child to pop and grow bigger in my belly, and for the last time, YES, I eat enough. Geez. This child moves so much, I seriously was worried about the fetal kick counts, i'm not worried anymore. I'm convinced Allie will be a soccer player, or ninja. Maybe both. The kicks are getting intense. The hormones are definitely rising. I have felt in the past two weeks that the moods are a little more shifty. Hmm. Wonder if how much worse this will get? Uncomfortable feelings in the inner thighs, sometimes when I walk I noticed that my hips and inner thighs are just achy. I realized very quickly how much my hips are probably widening for Allie's birthday, but geez. Nurses or other health professionals working on a floor: How long before you went on maternity leave? There is no way i'm working right up until the week I give birth, these 12 hour shifts are killers, especially day shift. Let me know what you think!! Cravings: BBQ, which was perfect, right up my alley! Aversions: Fish, except for the Crawfish. I'm weird bird.